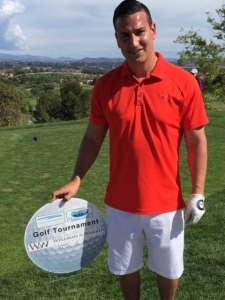 Attorney Chris Wellman of Wellman & Warren, LLP attends a Golf Tournament at the Aliso Viejo Country Club. The tournament was held by the Laguna Beach Chamber of Commerce on April 11, 2016. 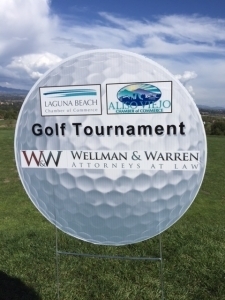 Wellman & Warren, LLP, a member of the Chamber of Commerce, was glad to have sponsored one of the 18 tee boxes for this magnificent event.